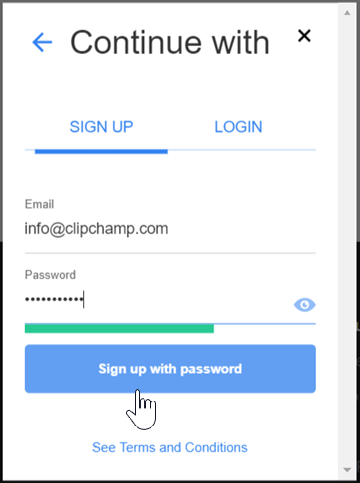 To register for a Clipchamp account, you can either use your Google or Facebook account, your email address by itself using our magic link option or a traditional email + password combination. 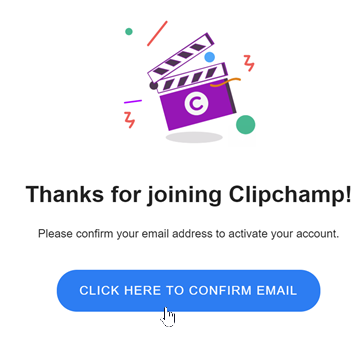 Even after you sign up, you can use any of these log in options to get you into your Clipchamp account – as long as they are connected to the same email address the system will combine them and associate them. 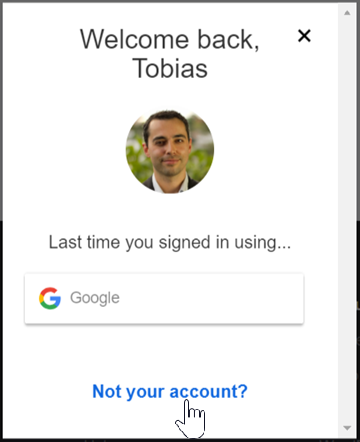 1) Log out if you're currently logged in, then go to util.clipchamp.com. If that is the case, click on Not your account?. Otherwise you'll be seeing the screen shown at 2) right away. 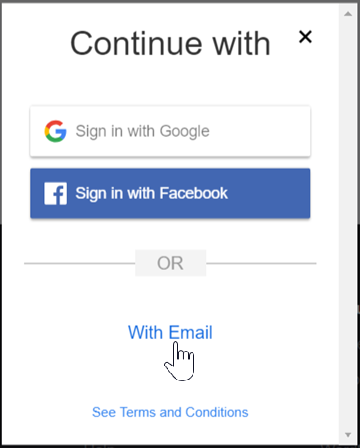 2) On this screen, click on "With email". 3) On the next screen, select “With Password”. 4) Then, enter the email address you’d like to register with and choose a password. 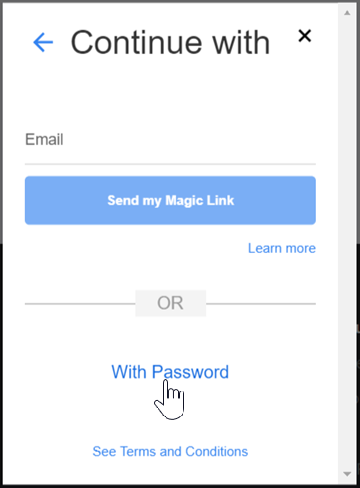 5) Click the “Sign up with password” button. If it’s not in your inbox, please check your Spam folder and make sure that your (corporate) firewall settings allow emails from noreply(at)clipchamp.com and sendgrid.net. In the email, click the verification button or copy & paste the link underneath it into your browser’s address bar. 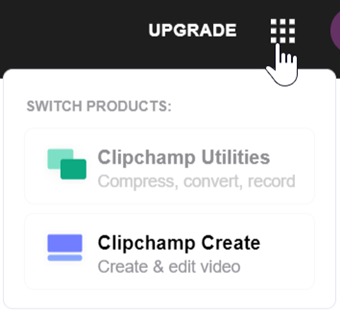 9) Optional - if you'd like to use the Create editor instead of Utilities or the API, click on the product switcher and jump across to Create. NB: If you don't get redirected to the dashboard after clicking the verification link in the email, please try to navigate to the dashboard by going directly to https://util.clipchamp.com/dashboard. If this also does not work, please get in touch with us through the contact widget in the bottom right corner of this article.